It’s not exactly the university regional experts say Tysons needs to thrive, but a local seminary could be moving into a new office across town this year. Reformed Theological Seminary is currently seeking a permit for a college/university use in an existing office building at 8227 Old Courthouse Road. 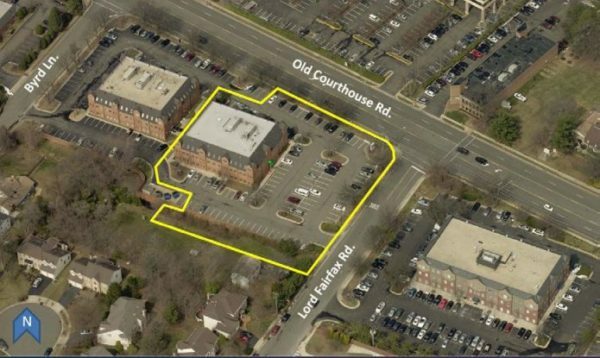 The new location would be double the size of the school’s current facility at 1651 Old Meadow Road, near the McLean Metro station. The staff report says administrative staff would be on the site during the day with classes held Monday through Saturday. The site is anticipated to have 45 total full-time students, with up to 30 present at any given time. The report notes that properties near the site are primarily being developed with office uses. The building is part of the South Old Courthouse subdistrict along the southern edge of Tysons, which acts as sort of a buffer between Tysons and residential neighborhoods on the outskirts of Vienna. “The vision for this edge is to retain the existing low-rise and low-intensity character, which provides a transition in scale and intensity from mid-rise and high-rise commercial development along Leesburg Pike to adjacent single-family neighborhoods,” staff wrote. The meeting is tentatively scheduled to be brought to the Planning Commission next Wednesday, Jan. 16, with a review at the Board of Supervisors on Jan. 22.